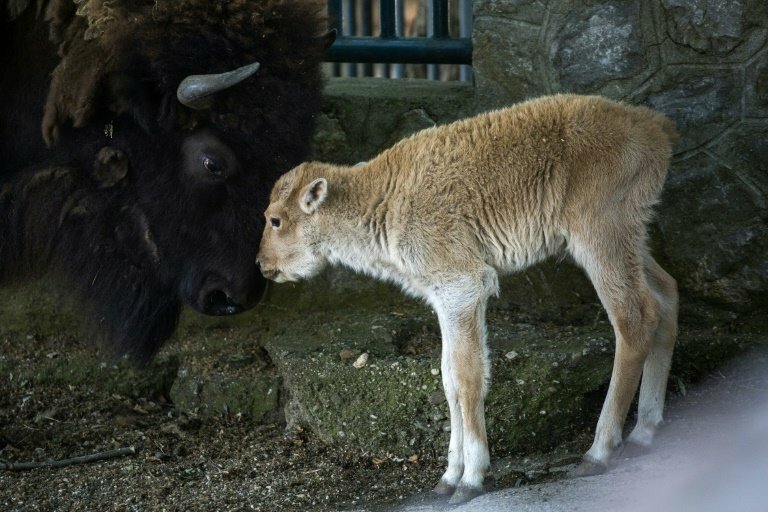 One of the world's rarest animals -- a white bison -- has been born at Belgrade zoo, officials said. The calf, named Dusanka, was born on Monday and trotted around her enclosure in "good health", according to the zoo's veterinarian. "According to my information, no other (American) white bison has been born in Europe," veterinarian Jozef Ezvedj told AFP. "Her father Jovan (a white bison) came to us in 2007, imported from America when he was still very young, practically a baby. Dusanka inherited his genes," Ezvedj said. "We are making sure that she is in good health and that she enjoys a peaceful childhood." Many Native Americans consider white bison to be a good omen and a symbol of hope. Thousands of Native Americans joined in celebrations of the birth of a white bison female in the US state of Wisconsin in 1994. "Perhaps we should inform them? Bison among Native Americans are very important in terms of mythological significance," Ezvedj said.